Manny Dulay and the University of the Fraser Valley men’s basketball team got off to a preposterously hot start from beyond the arc against the Mount Royal Cougars on Saturday, and they never really cooled off. 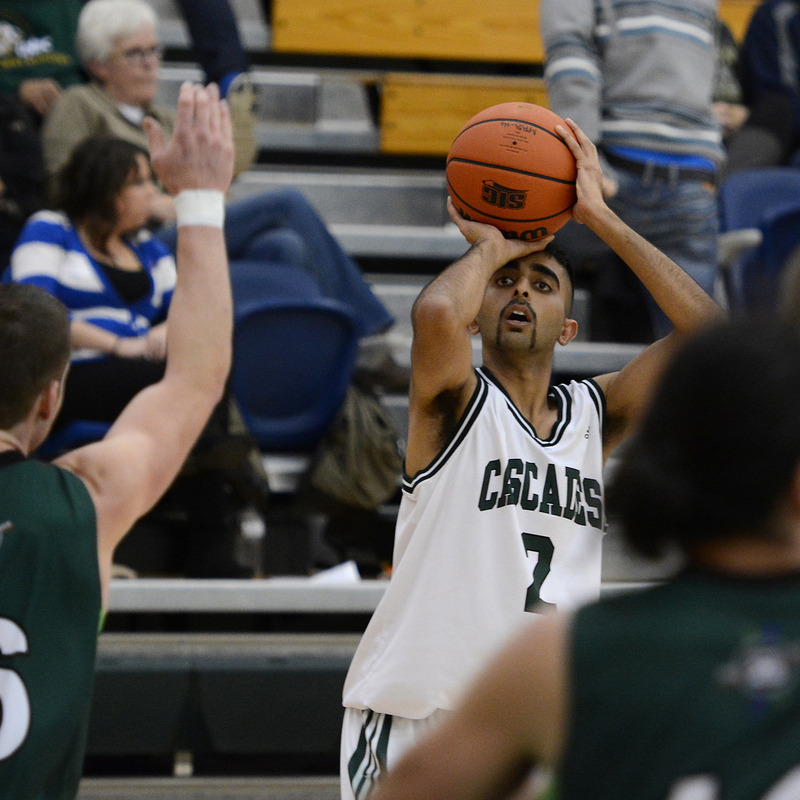 Dulay, the Cascades’ sweet-shooting point guard, swished nine three-pointers to pace his squad to an 87-65 victory in Calgary. That’s tied for the second-most triples in a game in Canada West history – the record is held by former Regina Cougars sharpshooter Jeff Lukomski, who hit 11 against the Manitoba Bisons back in 2009. Dulay joins a group of 12 other players who have knocked down nine. The third-year UFV standout finished with a game-high 31 points (11-of-19 from the field, 9-of-14 from three-point range) as the CIS No. 8-ranked Cascades improved to 15-0 this season, clinched first place in the Explorer Division, and extended their Canada West regular season win streak to 29 games dating back to 2013. Mount Royal fell to 6-9, which leaves them fourth in the Explorer Division. The two teams clash again on Sunday in Calgary (4 p.m. Pacific time, live webcast at ufv.canadawest.tv). 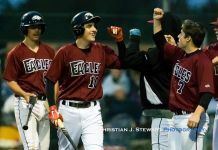 “We’ve been really harping on Manny to try and be more aggressive,” Cascades head coach Adam Friesen said afterward. “He’s such a great shooter, but sometimes he only wants to shoot when he’s wide open. We want him to shoot even when he’s somewhat contested. Vijay Dhillon (16 points), Kevon Parchment (13), Kadeem Willis (12) and Dominique Brooks (11) also scored in double figures for UFV, while James Lefebvre replied with 16 for Mount Royal. The Cascades opened the game on a 12-2 run with all of their offence coming on three-pointers – three by Dulay, and one from Parchment. They stretched the margin to 21-4 late in the first quarter, and maintained a double-digit lead the rest of the way. They salted the game away with a 13-0 run bridging the third and fourth quarters, which boosted their lead to 70-42.